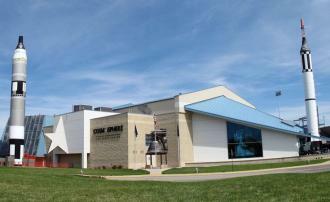 Cosmosphere International Science Education Center & Space Museum features the largest combined collection of U.S. and Russian space artifacts in the world! Visitors can see rocket science brought to life with a bang in Dr. Goddard's Lab ; watch large-format films in the Carey Digital Dome Theater and fly through the universe in the Justice Planetarium . 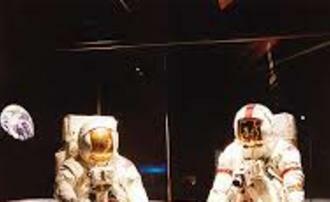 Every third Saturday, Space Out Saturday - a free, family event, with hands-on science demonstrations and kid-friendly tours of the museum are offered. Cosmosphere Aerospace summer camps and year-round STEM education opportunities meet educational standards, foster teamwork, leadership and critical thinking skills. The Cosmosphere also features the Carey Digital Dome Theatre where feature films and documentaries can be seen. Mon-Thurs 9-5 p.m.; Fri & Sat 9-7 p.m.; Sun Noon-5 p.m. **Extended hours offered during the summer Visit www.cosmo.org for more information or to see a schedule of upcoming events. Relax with coffee and pastries while you enjoy entertaining educational presentations. Free and open to the public.